This beautiful self-catering flat in the sought after Topanga Complex in Uvongo has 2 bedrooms (1 x queen, 1 x 2 singles) and 2 bathrooms, accommodating 4 people. Both bedrooms have ceiling fans and are stylishly decorated. All linen is provided, but please remember to bring your own bath and beach towels. There is air conditioning in the comfortable, open plan living room, with Full DSTV (pre-paid at R50 per day) and a completely kitted out kitchen. Should you require, a maid service can be arranged at an additional charge. Topanga is a secure complex with access controlled gates, a large, well maintained garden with a braai area and a refreshing pool. 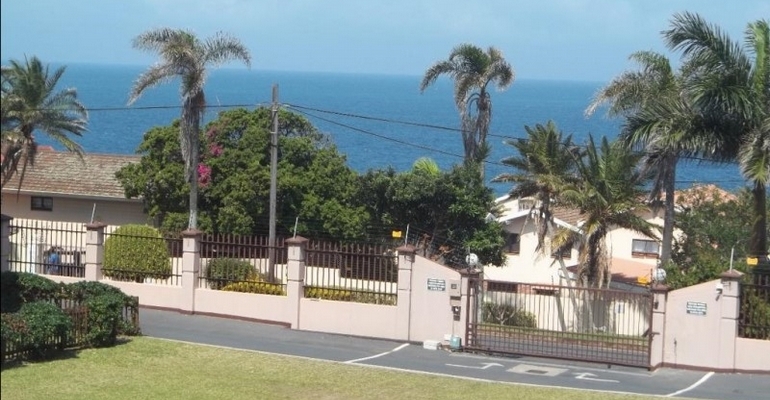 It is walking distance to shops, restaurants, and Uvongo Falls Main Swimming Beach, as well as the ever popular St Michael's Surfing beach. Shelly Beach and Margate are a few minutes drive in either direction, offering entertainment to suit all ages and tastes. There is onsite security at the complex and undercover parking is available for all guests.